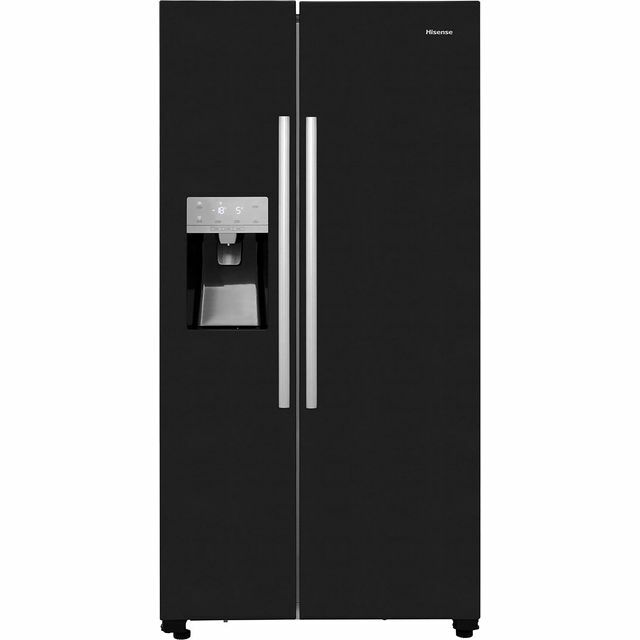 This Hisense RS696N4IB1 American Fridge Freezer comes in a gloss black colour with a net capacity of 535L to give you massive storage space. The model has an efficient A+ energy rating. This frost free fridge freezer with multi air flow system has a variety of functions such as super cool, super freeze and holiday mode to save energy and better preserve the food to stay fresh for longer. This side-by-side fridge freezer also has a plumbed water&ice dispenser for not only chilled water but also cubed and crushed ice.